Barbados has a population of less than 300,000 people, and most of them are the descendants of African slaves brought in to manage the sugar plantations. The population also has Indian and Chinese lines that have lived there for centuries. There are also some people of Syrian and Lebanese parentage, and these constitute most of the population that follows Islam as a religion. Barbados has a literacy rate of almost 100 percent backed by the almost 20% spent on education by the government. Attendance in school is mandatory for all children up to the age of 16. 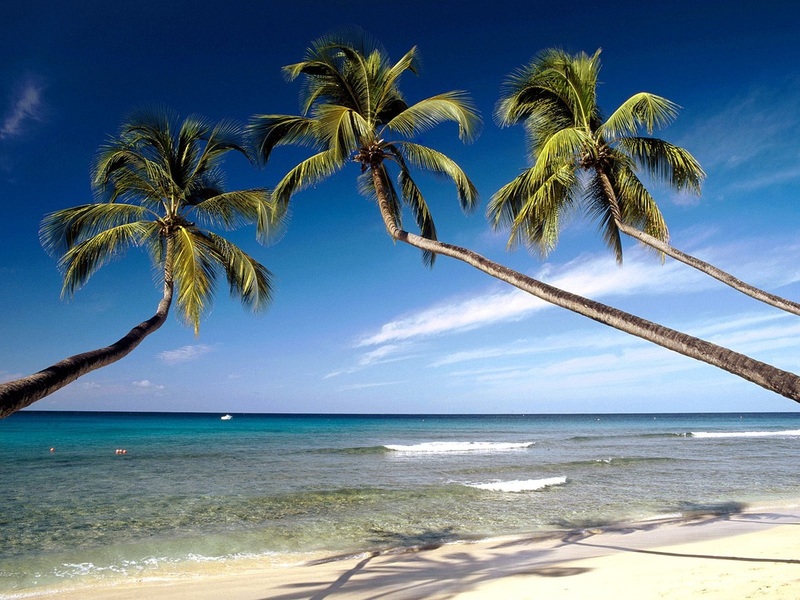 Just east of the Caribbean Sea is the West Indian island nation of Barbados, in the western part of the Atlantic Ocean. Bridgetown is the capital. Queen Elizabeth is still acknowledged as the head of state after more than three centuries as a colony. It is considered a part of the Lesser Antilles and has Martinique, Saint Lucia and Saint Vincent as its nearest neighbors. It is north of the Trinidad and Tobago nation with which it shares an official maritime boundary. Barbados is among the top 75 nations in the world as far as the Human Development Index is concerned, and is actually ranked third behind Canada and the United States as far as countries in the Americas are concerned. 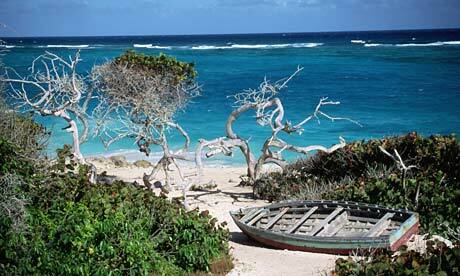 Barbados is a coral island with a vast array of caves and underground lakes that produce its drinking water. 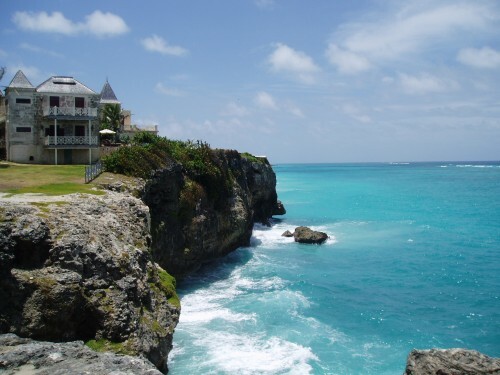 Geologically, Barbados is two landmasses merged into one by volcanic activity. The terrain of the island state of Barbados is generally flat with the highland rising gently to a height of 1000 feet above sea level. 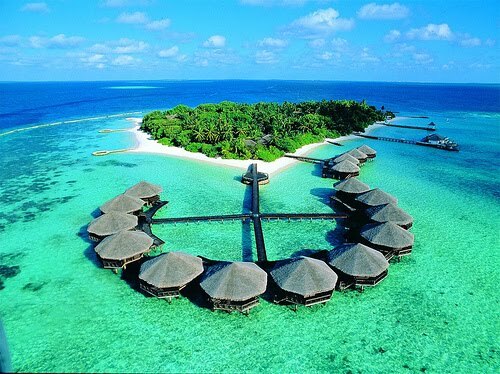 It is mainly composed of coral about 300 feet thick and is completely surrounded by coral reefs. The climate is moderate, though tropical and there is a wet season from June to November. The annual rainfall varies from 40 to 100 inches. It is outside of the hurricane zone and may see a hurricane about once a quarter of a century. Sugar is one of the major agricultural products and this has led to the export of molasses and rum. Fig trees are also native to Barbados. The origin of the name Barbados is obscure and could be from the bearded nature of the fig trees that were observed by Spanish and Portuguese travelers in the 15th century. It was first inhabited in the 300 years before Christ by the Indians coming in from nearby Venezuela. Portuguese influence was brief and restricted to the years 1550 to 1600, after which they abandoned the island. The British moved in during 1625 and stayed until Barbados became independent in 1966. Slave codes were implemented early, and after 1700 slaves ceased to exist. The present population is mainly descendants of the freed slaves of that time. Barbados is now a self-governing country that acknowledges the Queen of England as the Head of State. Manufacturing and tourism are now pillars of the economy, along with the sugar trade. There is a lot of Canadian investment in Barbados and a businessman from Toronto is reputed to be the richest person in the island country. 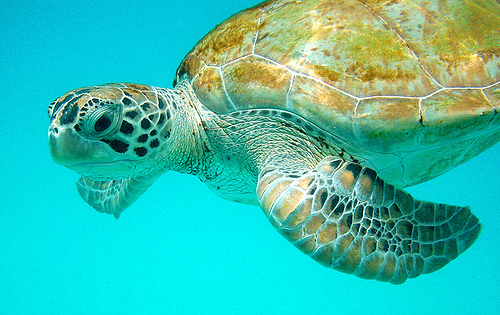 The Atlantis submarine tour is one of the most stunning ways of looking at exquisite corals and marine life. The submarine takes you to depths of 150 feet in air-conditioned comfort and you can see the beautiful coral and colorful fish all around you from the many viewing ports. If, botany is more interesting to you, you'll enjoy a visit to Welchman Hall Gully, the home of the grapefruit, where you will see many exotic trees and orchards, which are being constantly added to. The gully is almost a thousand meters long and nutmeg, native palms, and an ornamental plant section will enthrall you. No visit to Barbados would be complete without a visit to Harrison's Cave. This is a crystallized limestone cavern, said to be one of the wonders of the world, and you can see amazingly beautiful stalactites and stalagmites. Barbados dinner shows in a number of restaurants will provide you very good food and a lot of excellent entertainment which brings alive the culture of the island. You can also treat yourself to a dinner cruise, which will keep you just as entertained. The dinner cruises are on boats specially designed for sailing. Nightclubs are plentiful and feature local music with live calypso and reggae bands performing throughout the week. There also some street parties on the weekends with karaoke and live bands. An open-air nightclub with a superb location on the beach is another one of Barbados nightlife attractions. The British influence lasted over three hundred years and has left its imprint, and English is the national language. The local population uses the Bajan language, which is a fusion of English and a lot of African tongues. The main religion in the island is Christianity, with all faiths, like Roman Catholic, Baptist, Methodist, and other denominations existing side by side. There are smaller communities that practice the Jewish, Muslim, and Hindu faith. There are many carnivals held in Barbados, but the Crop Over is the biggest and most popular one, celebrated at the end of the sugarcane harvest. It lasts for over three weeks. Barbados cuisine has absorbed international cuisines from African, Chinese, Caribbean, West Indian, and European sources. Being an island, most food platters are dominated by seafood that includes red snappers, shark, kingfish, tuna, salmon, cod, barracuda, as well as shrimp, lobster and crab. Barbados is also fortunate to have soil that encourages the growth of fruits like papaya, banana, kiwi, and pineapples, and vegetables like potatoes, tomatoes, onions, garlic, and celery grow quite easily. A popular Barbados recipe is coucou, with many variations using green bananas or breadfruit and served with fried flying fish and okra. Barbadian meals are spicy and quite often served with hot sauce. A lot of meat dishes are roasted and served with potatoes and hot sauce. Pepper pot, mashed potatoes, pelau, sweet potato pie, and rice and peas are other traditional fare.